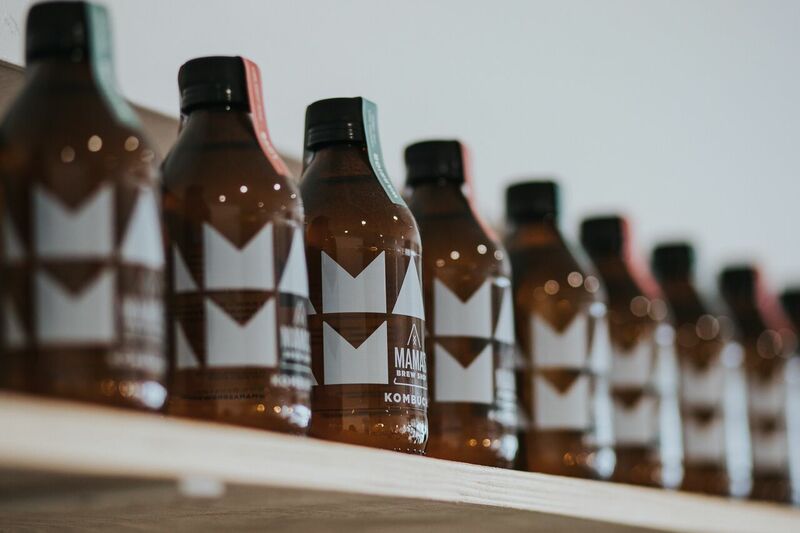 I have been a massive fan of Mama's Brew Shop Kombucha since the get go. 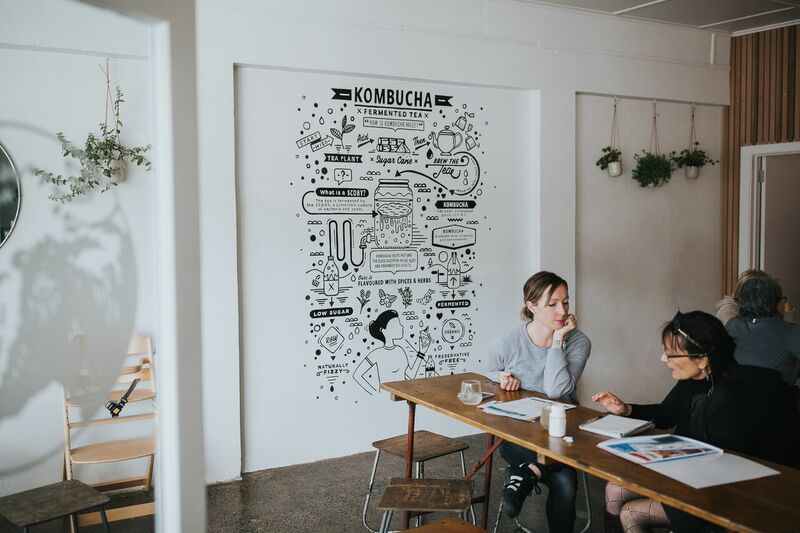 Their raw, organic Kombucha is made from the best tea, herbs and spices. With two flavours to choose from, Love and Warrior, I find it hard to pick a favourite. 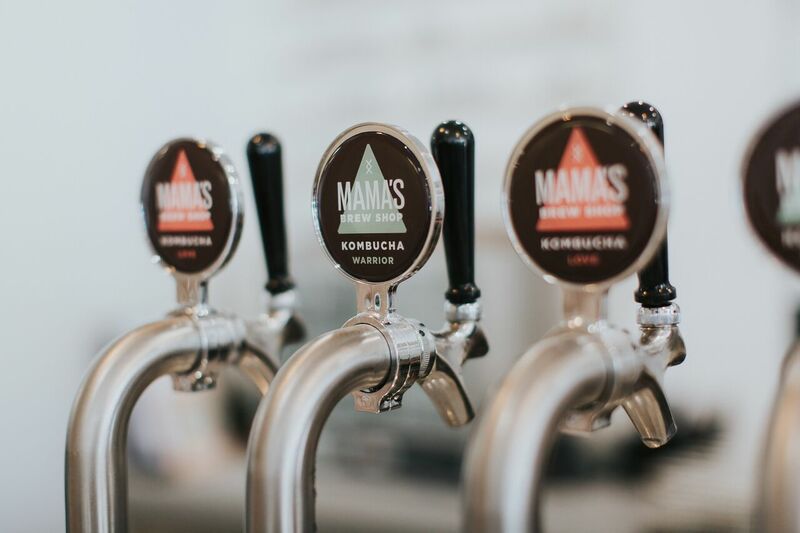 I drink Mama's Brew Shop Kombucha by itself as a refreshing drink or mixed with a gin or vodka as my new alcoholic drink of choice. 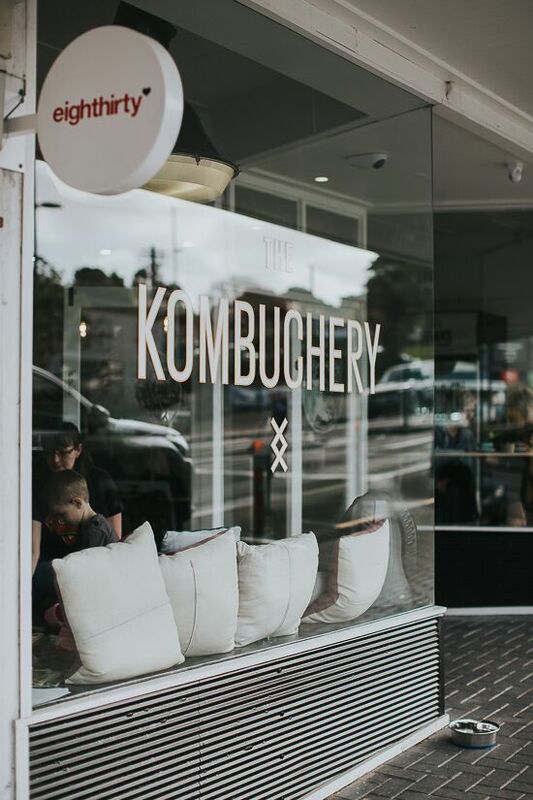 So when I heard that Mamas Brew Shop were opening a Kombuchery in Helensville's, I had to get onto sending talented photographer Samantha Donaldson in to capture the place for me and you. 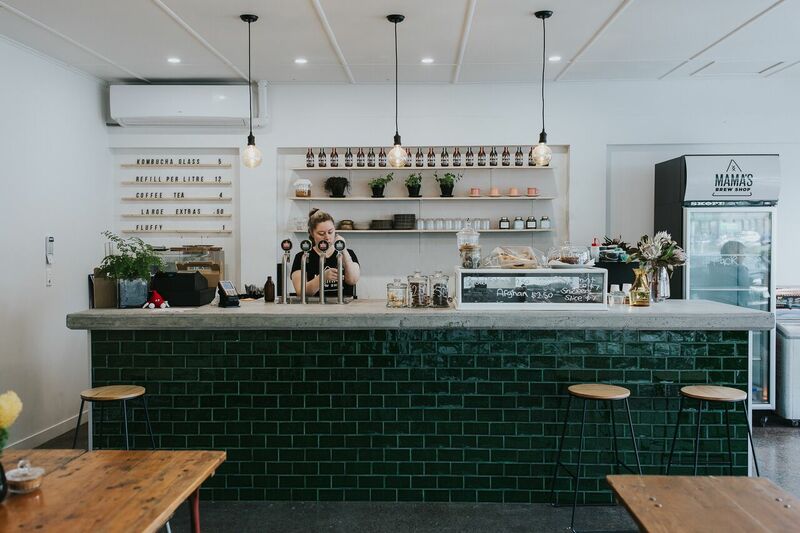 Decked out in incredible trestle tables from The Vitrine, with amazing green tiling and an outstanding piece of artwork by Greg Straight, Mama's Brew Shops new Kombucha Taproom is the perfect hangout serving Love and Warrior Kombucha along side of Eight Thirty Coffee and Eats and treats to tempt the taste buds. 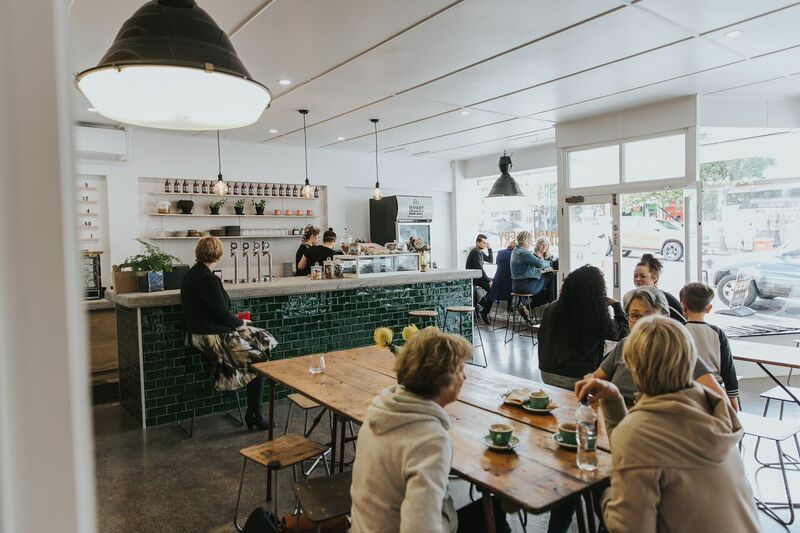 Thank you to our hugely talented photographer, Samantha Donaldson. Check out her website here and please please do follow her gorgeous instagram page here. Her wedding and lifestyle photos are really quite something else.